Singapore -- Pinnacle Minds, Singapore’s premier memory training organization, has begun to offer the “Lunch and Learn” talks. These short programs are designed to allow busy executives to learn how to improve their memories and become more productive over the course of a single lunch. Pinnacle Minds’ Founder and Guinness Book Record Holder Sancy Suraj teaches participants that they have a great memory already, shows them the different methods of memorisation and how to use four powerful memory techniques. More information is available at http://www.sglunchtalks.com. ThePinnacle Minds’ Lunch and Learn Talks combine leading edge science with the fascinating experience of the World Record Holder for Memory. Sancy Suraj is recognized as having the best memory in the world, so who better to teach participants how to remember anything. During the Lunch and Learn Talk, attendees learn to count to ten in Japanese, learn the Roman Room technique and learn games for flawless memory. 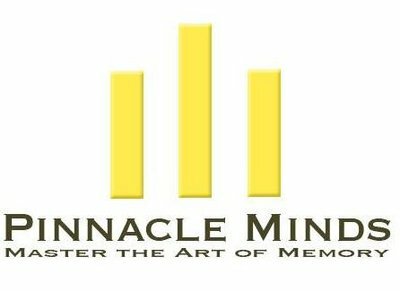 Pinnacle Minds, a memory training company based in Singapore, is made up of a group of skilfully motivated professionals that specialises in the teachings of superior lifelong memory improvement techniques. For more information, you may visit their website at http://www.Pinnacleminds.com.sg.